One of the most frequently asked questions of the Pst Viewer support team at Encryptomatic LLC is, “What is the difference between the Lite and Pro PST viewers?” This article will answer that question in detail. PstViewer Pro began as a simple .msg file viewer in 2006. Over the years, feature creep added many new and useful capabilities to the software. Some of these features required the addition of expensive 3rd party libraries and many hours of development. Some of these capabilities are quite specific and enable customers to manage and convert email from Outlook .pst, .ost, .msg, and .eml files in complex ways. Pst Viewer Lite was introduced in 2011. 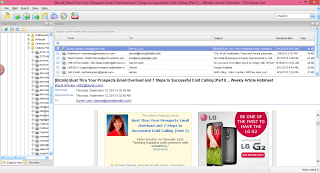 It was designed to fill a gap in the market for a high quality, low cost Outlook email viewing tool that is simple to use. Priced at just $29.99 for a single license with quantity discounts available, Pst Viewer Lite has found a home in many organizations around the world. By comparing the opening screens for Pst Viewer Pro and Lite, it appears at first glance that they are not very dissimilar. The navigation and main viewing panes are very similar between the two. Both share the same high quality email rendering engine (MVCOM) that has more than 200 non-standard email formatting exceptions coded into it. 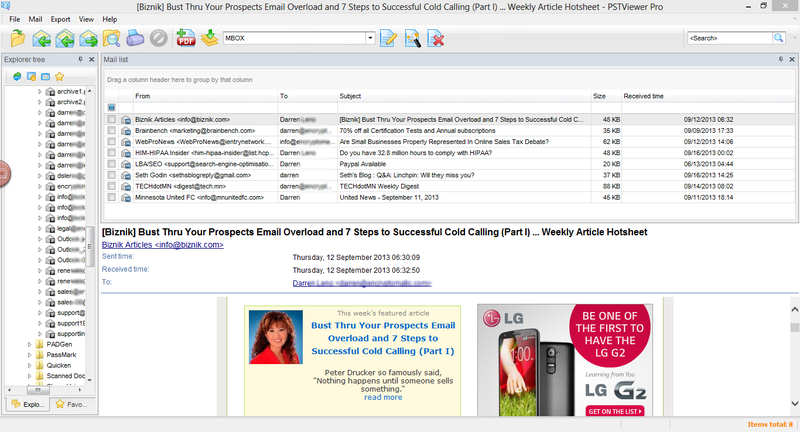 Both can display emails formatted as html, text or rich text. Neither has difficulty displaying embedded email graphics. Each of them provides access to email file attachments. Printing of individual messages, and saving email as individual .pdf files is supported by both. 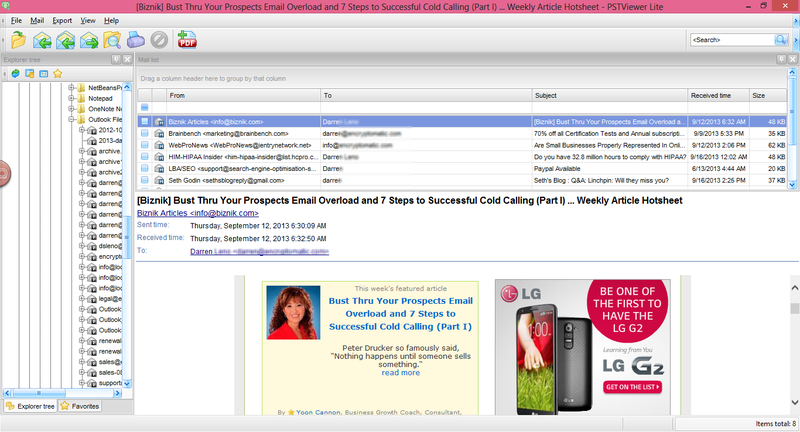 You can also use either product to add individual email messages to a single .pdf file. Neither Pst Viewer Pro or Lite requires that Microsoft Office Outlook be present on your Windows computer or tablet. Both function completely independent of Outlook and do not have a MAPI dependency. Both Pst Viewer Pro and Lite provide quick search and advanced search functions, allow users to locate important messages. Support is offered for both products, and a year of free updates is included when you purchase either. With so many similarities, what differences exist between these viewers, besides price? Probably the most importance difference is bulk processing of email messages. 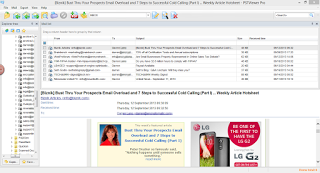 While Pst Viewer Pro and Lite share many capabilities, Pro is suited to bulk export conversion and printing of email content, including mixed content ( i/e .msg, .eml files togther in a single mail list). Most of the differences can be seen on the quick access toolbar of both products, shown here. Pst Viewer Pro makes use of Export Profiles. They are displayed in a drop down list on the main toolbar. Any export profile may be edited, deleted, or new export profiles may be created. Profiles are instructions that cause Pst Viewer Pro to act in a certain way. For example, they can include instructions on how exported emails should be named, or where files should be copied, or whether a copy of email file attachments should be saved to your hard disk. Export profiles and bulk processing of messages allow Pst Viewer Pro to accomplish a wide variety of specialized tasks for our customers, saving them time and making them more efficient. It accomplishes tasks that heretofore has required several software packages or much more expensive software packages. Is Pst Viewer Pro or Lite best for your needs? If you just need quick access to .pst, .ost, .eml, .msg or winmail.dat email files, and bulk conversion to PDF and other formats is not part of your mission, then Pst Viewer Lite is a great choice for you. For bulk processing of email and converting to PDF format, then Pst Viewer Pro is the better choice. At $69.99, it is a bargain compared when comparing capability against cost. You can download a free trial of either Pst Viewer Pro or Lite. A 15 day free trial is offered for both. You can also install and run both Lite and Pro on the same computer at the same time. If you have any other specific questions about the capabilities of either viewer, please post them in the comments below!